VARNADO—Fifty years after the murder of Washington Parish’s first African American sheriff’s deputy, his friends, family and other members of the community came together Sunday (June 7) to celebrate his life. The afternoon service at New Zion Missionary Baptist Church brought laughter and tears as those who knew Deputy Sheriff Oneal Moore paid tribute in song and shared their memories of him as a family man, church deacon, and civil servant. 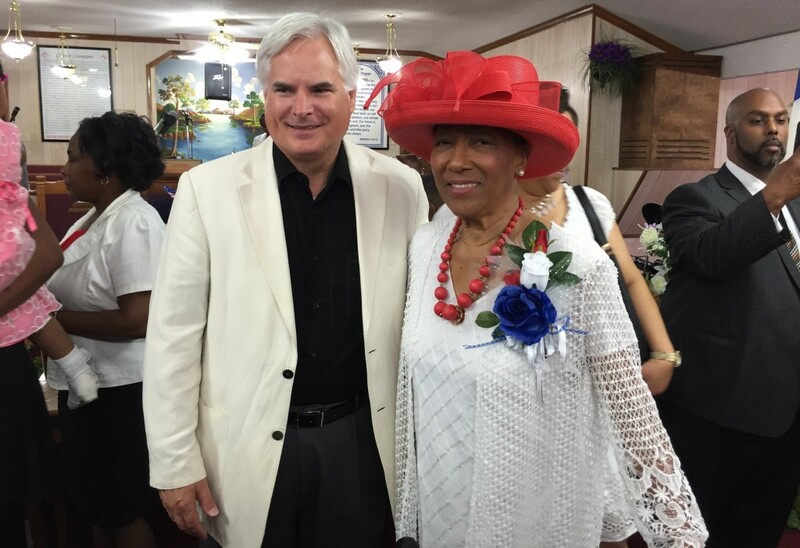 Moore’s widow, Maevella, who will turn 80 years old next month, thanked all who attended. She also praised her daughter, Tresslar Moore Lewis, for planning the program. The couple’s four daughters—Sheronda, Tresslar, Regenia, and Veronica—ranged in ages from 9 months to 9 years old when their father was killed. 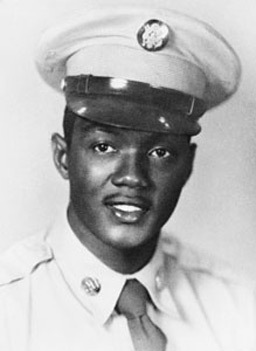 Moore, then 34, and his partner, Creed Rogers, the other African American deputy, had been on the job just one year, when they were ambushed by a barrage of gunfire about 10 p.m. on June 2, 1965, on a dark stretch of road, just off Highway 21. Moore’s murder remains unsolved, but law enforcement authorities believe the shooting was racially motivated. At the time, the entire Southern region was embroiled in a turbulent battle over civil rights, and African Americans in Washington Parish had pushed for the hiring of the two deputies. The men were in the middle of their 6 p.m. to 2 a.m. shift as Moore steered the patrol car toward his home about 10 p.m. for a dinner break. His wife was cooking fried catfish for them. Suddenly, according to news reports, a black pickup truck that had been trailing the men for a couple of miles passed the patrol car, and several gunshots rang out. The gunfire struck Moore in the head and Rogers in the shoulder, and their patrol car crashed into a large oak tree. Rogers also sustained injuries that ultimately left him blind in one eye, but he managed to radio in a detailed description of the truck. A short time later, a suspect was arrested after he was stopped in a truck that matched the description. But officials said at the time they lacked enough evidence to pursue the case, and the suspect was never brought to trial. Despite repeated investigations by the F.B.I. and attention from documentary filmmakers and television shows focusing on cold cases, Moore’s murder has yet to be solved. After his recuperation, Rogers returned to the Sheriff’s Office and worked another 23 years. He ultimately retired as a Captain and died in 2007 at 84 years old. Maevella Moore returned to school, became a nurse, and retired in 1999. She still lives in the Varnado home that she shared with her husband five decades ago. Their daughters, all college-educated career women, visit often.